A pub quiz, raffle and auction was held yesterday evening to raise money for RDF at Doggett’s pub in Blackfriars, London. Prizes included a magnum of champagne, crystal glasses and fine wine. 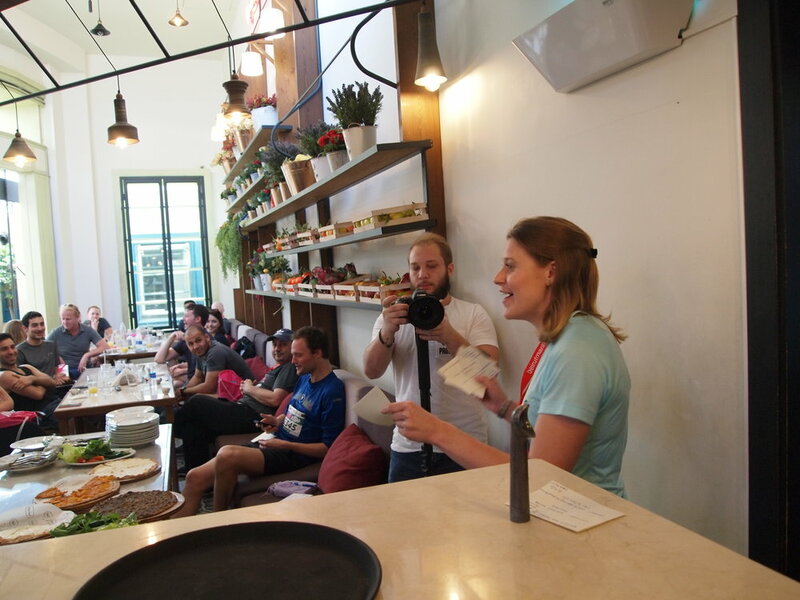 Attendees battled it out over the most sought-after prize of all, two tickets to the FA Cup Final, in a tense and competitive auction process. Lebanese friends of the Foundation attended a fundraising lunch in Beirut on 20 April. Through the kindness and generosity of those present, RDF was able to raise a substantial amount of the funds needed for its inaugural project. Lebanon’s Ambassador to the UK, Rami Mortada, hosted a memorial for Rebecca at the Lebanese Embassy in London on 16 February. Guests from the Lebanese community in London remembered Rebecca through music performed by the Peace and Prosperity Trust, and a cedar tree was planted in her memory in the Embassy gardens. 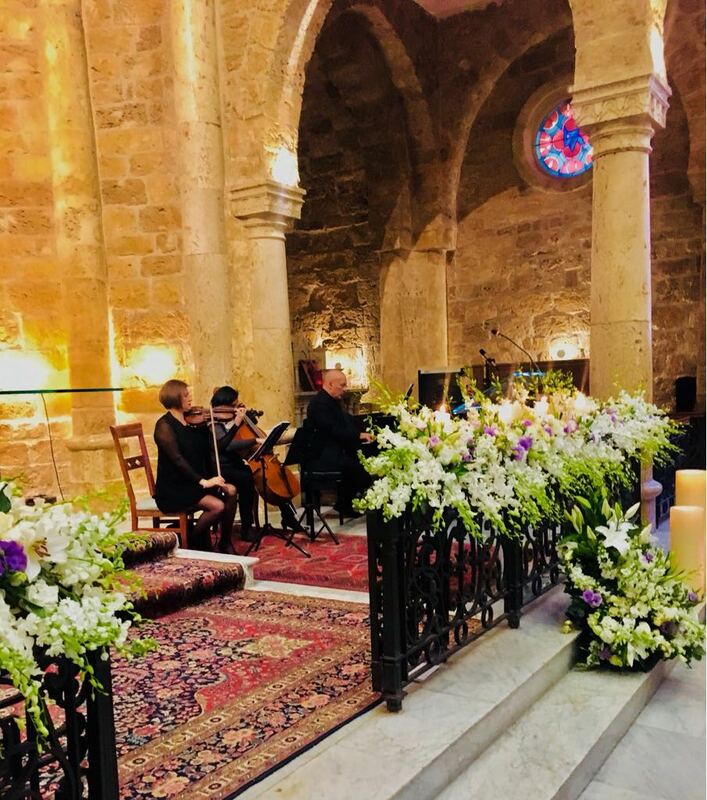 The British Embassy hosted a memorial service at St Elias Church, Kantari, for Rebecca on 7 February, attended by her family, the UK’s Lebanese partners and friends and many representative of civil society and the diplomatic community. The UK’s Ambassador to Lebanon Hugo Shorter announced the Chevening Scholarship in Rebecca’s name. Karen Pierce, now the UK’s Permanent Representative to the UN, spoke of a life dedicated to public service. An official memorial service was held in London for Rebecca on 5 February at St Martin-in-the-Fields. The Rt Hon Penny Mordaunt, who spoke at the memorial, described Rebecca’s work as “focused on easing loss, pain and anguish for the victims of conflict”. Lord Lester, who also spoke, announced that he would dedicate the next edition of his book on human rights and the Rule of Law, which Rebecca had been reading at the time of her death – Five Ideas to Fight For – to Rebecca. The Secretary of State to the UK’s Department for International Development Penny Mordaunt said that Becky had been passionate about helping others, and that through her work has improved the lives of some of the most marginalised period in the world.